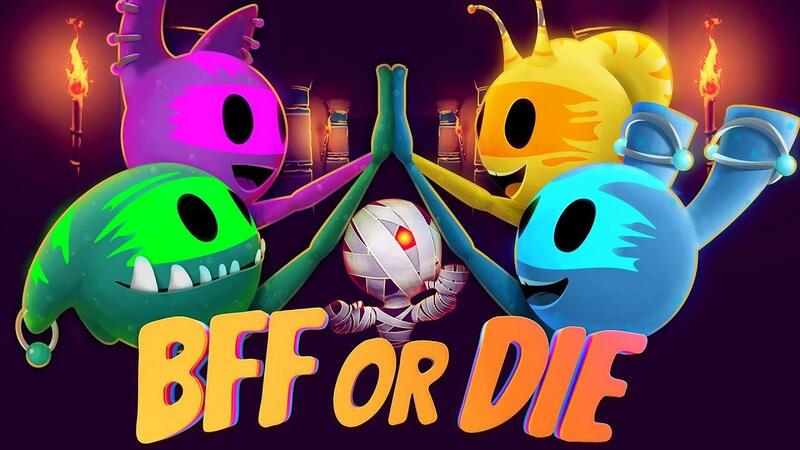 BFF or Die is an interesting puzzle game from ASA Studio that I was testing before release (key provided by the developer), one that offers a decent experience if you're alone or if you have friends around for some local co-op. I've actually been somewhat surprised by it. The game isn't overly difficult, but the way they've catered to different audience is rather good. You can play it entirely alone, with you controlling multiple things resulting in the experience and the way the game plays out quite differently to having people with you in local co-op. The design is pretty good, while the early levels are naturally as easy as breathing, the later levels certainly get a lot more interesting when many more gameplay elements start coming together. Especially tricky when you think you've mapped out the level in your brain and new enemies appear to throw a spanner in the works, even more so in single-player when you're controlling a light to see what's around independently of your movement. If you're after a new interesting puzzle game or something to play with friends and family for up to four people, then is one that I can easily recommend picking up. I don't remember any other game like this, it's quite a unique experience. I enjoyed it and so did my son, so that's our seal of approval right there. It worked beautifully with both the Steam Controller and the Logitech F310, no issues with it at all. You can grab it from Humble Store or Steam.